Our whole lives we have been told about alcoholics anonymous (AA), narcotics anonymous (NA), and 12 step communities. When it comes to rehab centers near Massachusetts, GateHouse Sober Communities has been a model for great programs that have positive statistics to match for recovering addicts. The question has become: why do 12 step communities work? Individual and group attention. 12 step programs are known for meetings and sponsors, and for this reason alone recovering addicts are surrounded by those in similar stages of recovery. 12 step communities follow the same guidelines, where individuals are working with veterans to the program, those just entering, and those who they entered with. Perspective is vital when considering short and long term goals of recovery, making the program effective while holding participants accountable. Judgment free and private. Just as AA and NA, 12 step communities foster a program where you are able to speak your mind freely without fear of judgment or your personal ramifications. The struggle recovering addicts face while living within and outside of sober communities can take a toll on the mind, and having a safe place to discuss thoughts and emotions gives others an opportunity to offer guidance. It’s a safe place. Though it can be hard to escape the temptation of relapse, 12 step communities and programs offer you a safe haven. Of all the inconsistent things thrown at us in society, the 12 step community will stay constant for you. 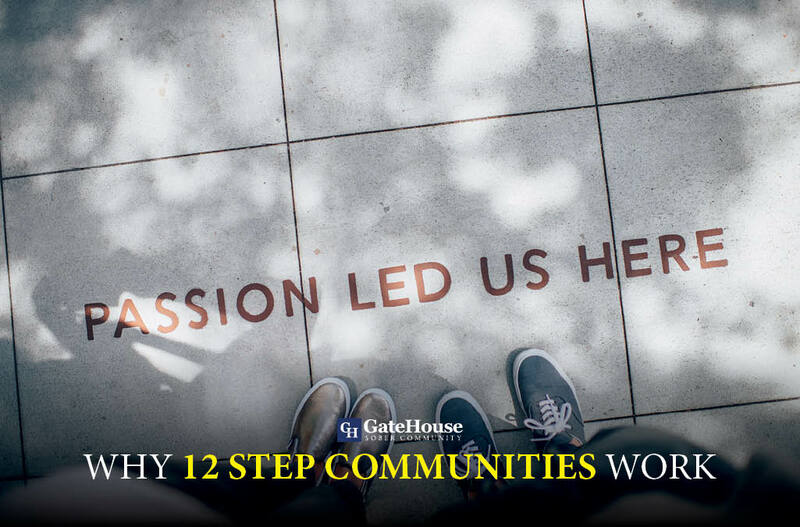 GateHouse Sober Community has been serving as rehab centers near MA for years and will continue to have success because of our 12 step community. If you or someone you know is suffering from addiction and could use our help, give us a call today at (855) 448-3638.